Chapter Meeting – 115th Information / Chapter Picture! 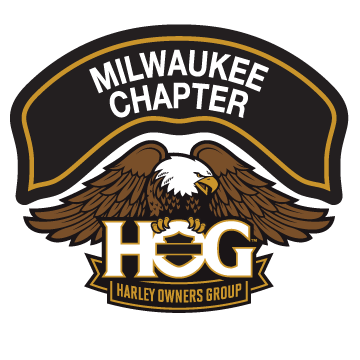 | Milwaukee Chapter H.O.G. Chapter Meeting – 115th Information / Chapter Picture! We are having a full chapter meeting, Tuesday August 21st. Social hour starts at 6pm, meeting starts at 7pm. Did you get your 115th Chapter Patch? Did you buy your raffle ticket for the Quilt? The proceeds will benefit COPS. We are looking for Ambassadors, and volunteers to help at the Chapter tent over the 115th. Grumpy will be there taking pictures! Yes, it’s that time of year again! So comb the hair and polish your bike. Get here early, smile and say ‘Harley’! Grumpy will take your picture with your bike, and then the Chapter picture at 6:45 pm at the stage! Come and represent! Have you seen the COPS bike that the House of Harley put together? Come check it out, it will be on display and yes you can WIN it!! Raffle tickets will be on sale over the 115th. Did you hear about all the rides that will be leaving from the House of Harley over the 115th? You will want to register for the Military Appreciation ride!!!! Come to the meeting to get all the details.